Oil on canvas mounted on cardboard. In April 1885, while concentrating on the series devoted to the Potato Eaters, a tribute to the country folk of Brabant, Van Gogh wrote to his brother, “I am also working on a red sunset.” Similarly, that same August he mentions among his most recent paintings “an evening effect after sunset.” Some authors have identified this sunset with the landscape belonging to a Swiss private collection, but it could also be the painting in the Museo Thyssen-Bornemisza. 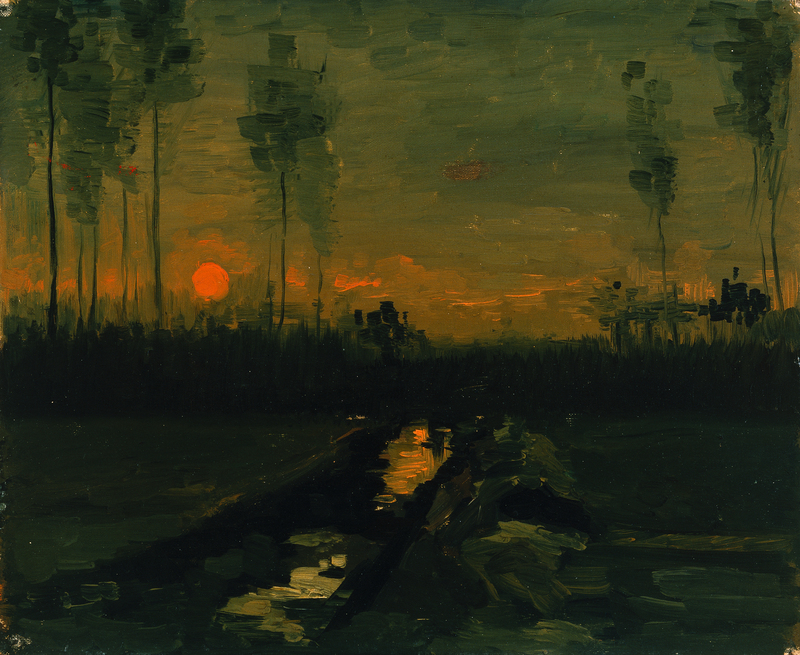 As in the portraits of country folk eating in a shadowy room, this landscape, which is almost nocturnal, allows Van Gogh to paint the darkness he so admired in seventeenth-century Netherlandish painting. 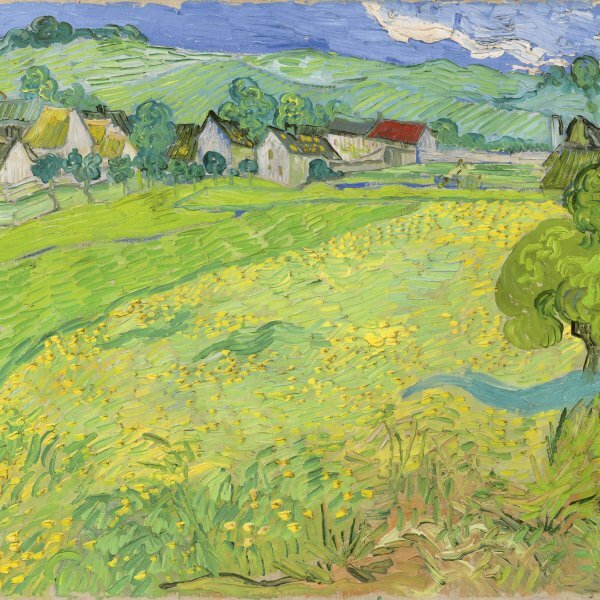 In this first Dutch period which preceded his move to Paris, where his palette became more luminous and colourful owing to the influence of the new artistic trends that successively emerged around him, Van Gogh’s style is characterised by a realism with strong tenebrist undertones.